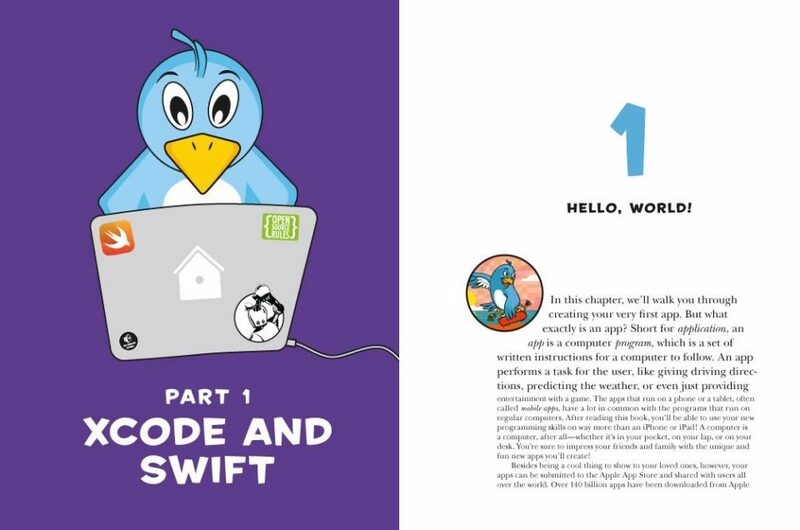 Booktalk: Learn how to use Swift to write programs, even if you’ve never programmed before. 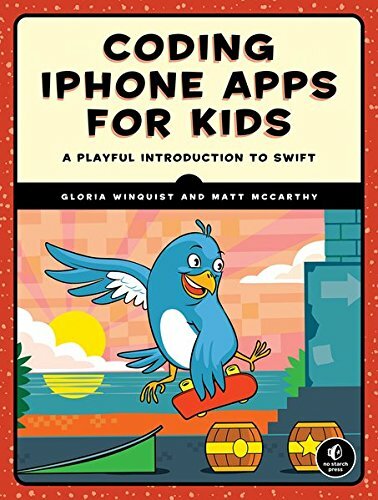 Anyone can use Swift to make cool apps for the iPhone or iPad. Once you master the basics, you’ll build a birthday tracker app so that you won’t forget anyone’s birthday and a platform game called Schoolhouse Skateboarder with animation, jumps, and more! You’ll work in the Xcode playground, an interactive environment where you can play with your code and see the results of your work immediately! 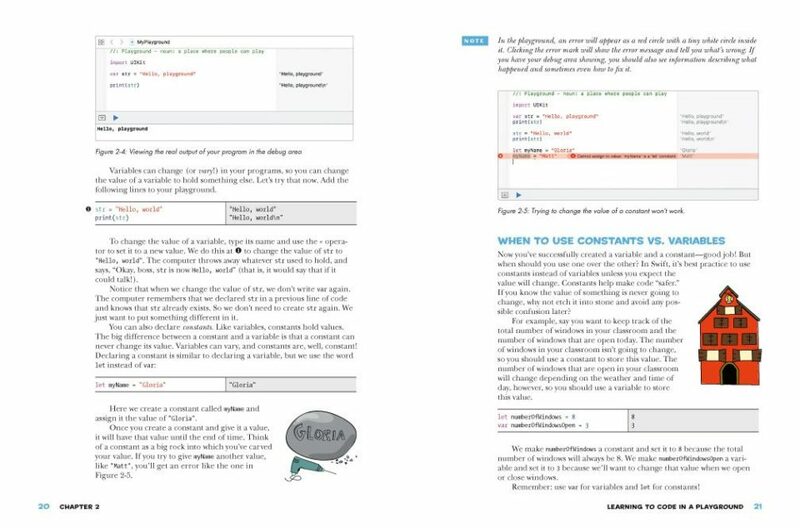 You’ll also learn the fundamentals of programming, like how to store data in arrays, use conditional statements to make decisions, and create functions to organize your code–all with the help of clear and patient explanations. 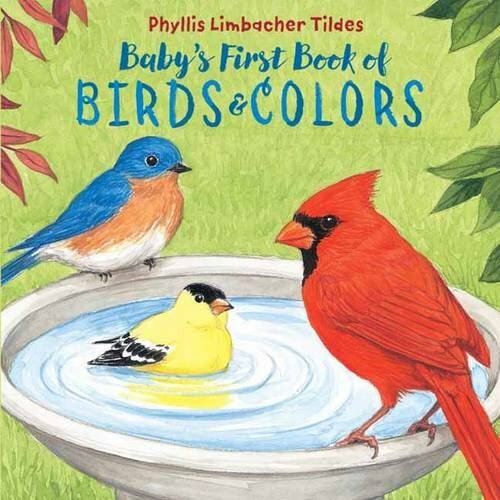 Booktalk: From the eastern bluebird and blue jay to the scarlet tanager and northern cardinal, little ones will discover the natural world and learn the names and colors of birds in their natural habitats in this board book. 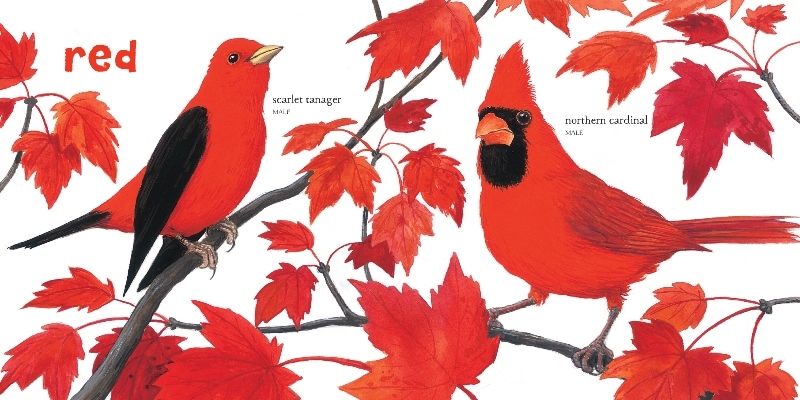 The color word appears large and bold, and each bird is labeled by name, as are flowers, fruits, and foliage. From the ground up, this is a terrific book. It explains, in sequence, how skyscrapers are built. On each spread, there are two sets of explanations of each step. The big bold print in the upper half is a quatrain with the second and fourth lines rhyming. 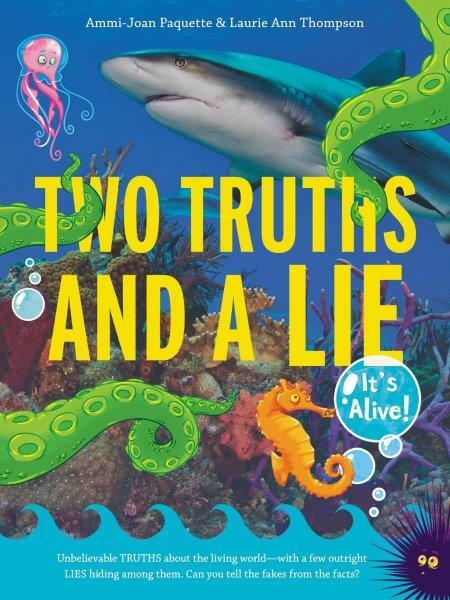 This will be great for shared reading for a whole K-1 class or a small group. On the bottom half, there is a smaller print that is more like an informational text for older readers. I like how the different texts target a wide range of readers. Plus, there are labels and inserts that add details and show how pieces fit. These touches show that author Anastasia Suen is well aware of the needs of her audience. Ryan O’Rourke’s art work is eye catching with bright colors and sharp lines that add to the reader’s understanding. I love the end piece which is a foldout of the skyscraper. 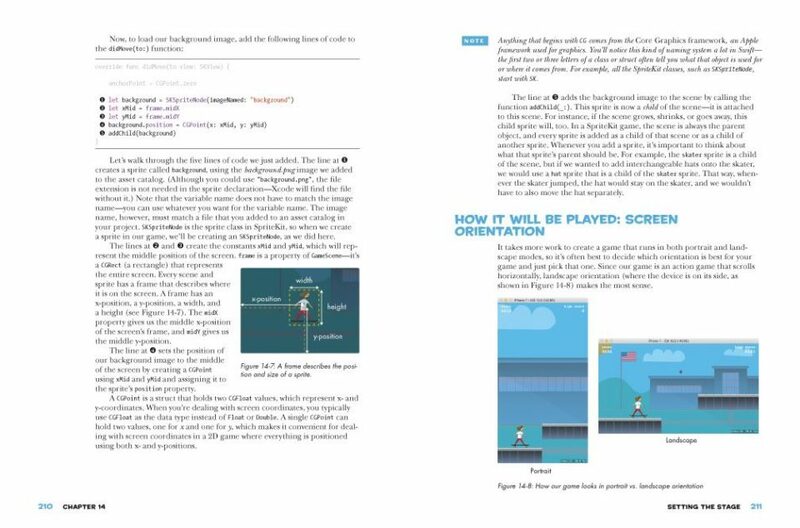 In addition, if you click this link, you can print pages to make a flip book of the building of the skyscraper. Up! Up! Up! Skyscraper takes a subject that is intriguing to students yet difficult to explain and makes the explanation engaging and simple to understand. That is not easy. Did you know how skyscrapers are built? I had a general idea, but this book helped me fill in a lot of missing pieces. Kids will love sharing the details they learn with their friends and parents. For very young readers who like buildings and transportation (and there are many! ), I can see the quatrains being repeated often as a bedtime read aloud. This book is also good for a social studies unit on cities and comparing them to rural areas. For the students that I work with, this is a valuable resource as most of them have never seen a skyscraper. Up! Up! Up! Skyscraper is floors and floors of fun informational text. Find more stuff from Jeff Barger at NC Teacher Stuff. 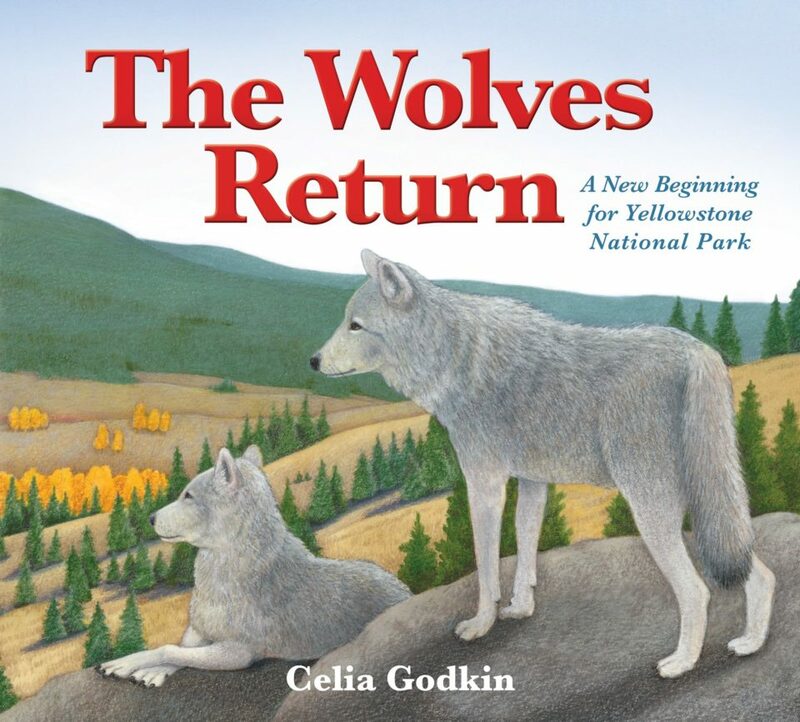 Booktalk: In 1995-96 twenty-three grey wolves were released in Yellowstone National Park where, due to over-hunting, there had been no wolves at all for almost seventy years. This reintroduction project was an overwhelming success. Over twenty years later we can still see the changes the grey wolves brought to Yellowstone National Park. Now that the elk graze higher ground, seedlings are growing tall, rivers are getting deeper as beavers return, and a lively pond ecosystem is developing. This true story offers an important lesson about the difference one creature can make in creating a healthy, thriving world. When a nonfiction book begins with a warning that some of the stories included are not true – you know it’s going to be a wild read. The thing is, the authors point out, there are lies all around us. Truths, too. Anyone trying to keep up with political news knows that sorting fact from fiction is really important. But lies aren’t partial to politics; you’ll find plenty of shady stories masquerading as scientific truths. Like stories about a fungus that infects insects and takes over their brains, creating bug zombies. Oops – that IS a true story. What Laurie and Ammi-Joan (who likes to go by Joan) do in their book is play a game with readers. They present three wacky science stories and challenge you to figure out which one is fake. For example, one group of three animal stories features a chicken who lived without its head – and performed in a circus sideshow, a cave-dwelling salamander that looks like a dragon, and a tree-dwelling octopod that lives in rainforests. Which two are true? Which is the lie? They tell you at the back, and give lots of source notes for the stories so you can do your own research. They also include a few words about how to tell truth from lie when reading articles online and in the paper. It’s like a guide to finding facts in the news world. Genie knew the more she discovered about sharks, the less people would fear them. What a fascinating life and book! If I were introducing the scientific method (and we all should be), I would use Swimming with Sharks as one of my resources. Genie Clark is shown always observing and taking notes. I like how pieces of Genie’s notebooks are included in the illustrations. In this world of hot takes and snap judgments, I love that we have a heroine who thoughtfully studied her subject. We need to encourage this more and more. And what a great figure for a class wax museum! A student could wear a mask and flippers as they talk about Eugenie Clark’s research. 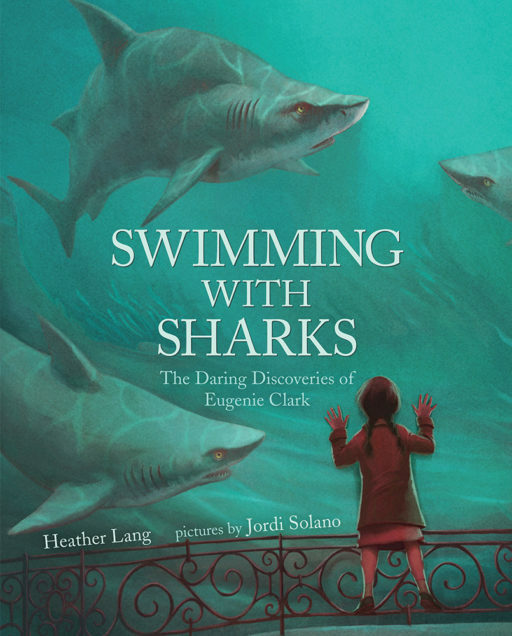 Swimming with Sharks is an excellent picture book biography. 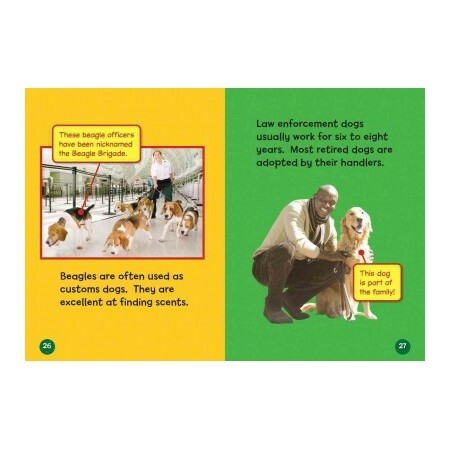 Booktalk: What kind of dog works with the police? Sniffs for explosives? Keeps us safe when we travel? 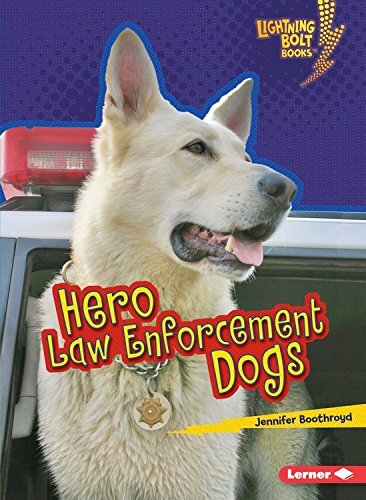 Law enforcement dogs! K-9 law enforcement dogs play an important role in communities everywhere. These furry friends can learn how to sniff out evidence and catch criminals. Find out what these four-legged officers do to help keep us safe!